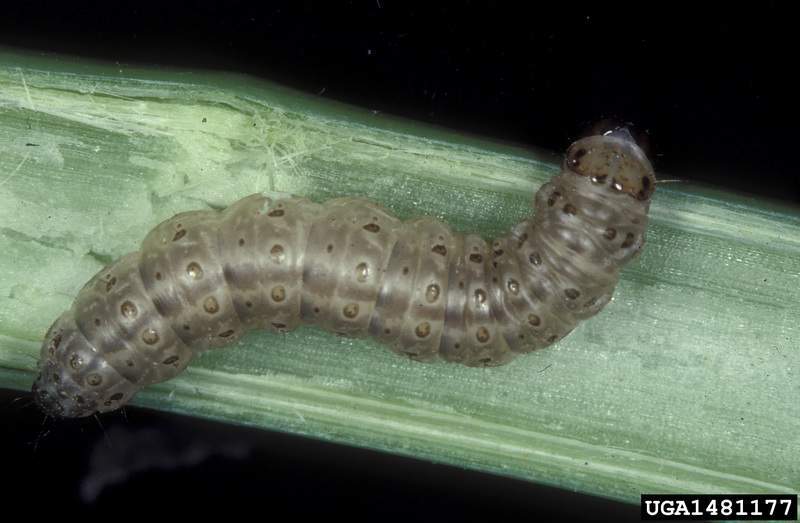 Associated Press A warmer world likely means more and hungrier insects, like this European corn borer, chomping on crops and less food on dinner plates, a new study suggests. WASHINGTON – A warmer world likely means more and hungrier insects chomping on crops and less food on dinner plates, a new study suggests. Insects consume about 10 percent of the globe's food, but that will rise to 15 percent to 20 percent by the end of the century if climate change isn't stopped, said lead author Curtis Deutsch, a University of Washington climate scientist. The study looked at the damage bugs like the European corn borer and the Asiatic rice borer could do as temperatures rise. It found that many of them will increase in number at key times for crops. The hotter weather will also speed up their metabolism so they'll eat more, the researchers report in Thursday's journal Science. Their predictions are based on computer simulations of bug and weather activity. “There's going to be a lot of crop loss, so there won't be as much grain on the table,” said co-author Scott Merrill, an ecology professor at the University of Vermont. The researchers calculate additional losses of 53 million tons in wheat, rice and corn from hungry bugs if the temperature rises 2.7 degrees. The study estimates that in that warmer scenario, American corn, wheat and rice losses from insects will jump by a third above current levels. Bug damage to Russia's rice crop would jump sixfold. And nine countries would see at least a doubling of wheat loss. The world is on pace to reach that 2.7 degree mark and extra insect loss around 2050 – give or take a decade or so, Deutsch said. The study comes as insect experts worry about declining numbers of flying insects, especially beneficial pollinators like bees. But those associated with agriculture crops – especially invasive species – seem to be doing better.